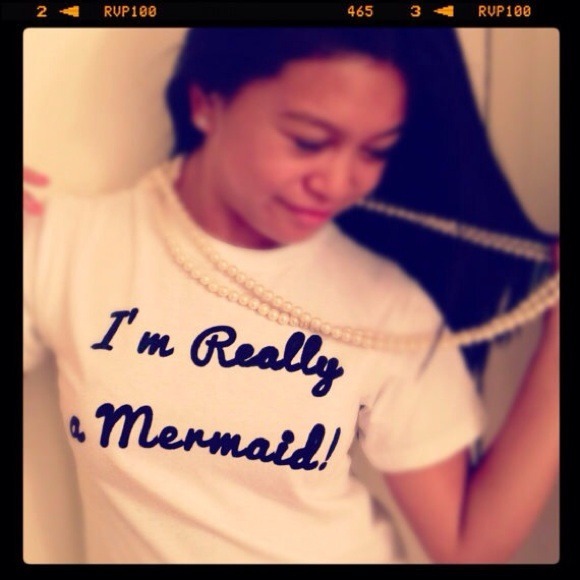 I’m really a mermaid…no really, my shirt even says it. I seriously have the best model in the world, my beautiful niece Angela rocking this amazing shirt that I’ve made. I also sell it too, weird huh? But I always say that if you are a girl who has a keen eye for pearls rather than jewels, and you like to brush your hair with a fork, then stop trying to play charades with Prince Eric, just buy this shirt! Trust me, Ursula will be very upset after you guys will be making out in no time. I mean who doesn’t want to be with a mermaid, or a mer-man for that matter?! Do You Hear The Ringing?? Because I Hear Wedding Belles! !